Join us March 11 at NORCALREIA as Bruce shares his newest talk “How to create a $100,000 Payday Per Deal in 2015.” Here you will learn from Bruce some important tips on succeeding in 2015. In the market and economy today, the market is unpredictable with tight inventory and stiff competition. Yet despite this several investors have successfully made up to $100,000 per deal, and you can too. Bruce Norris is an active investor, hard money lender, and real estate educator with over 30 years of experience. 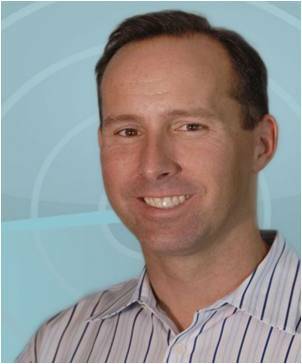 Bruce has been involved in over 2,000 real estate transactions as a buyer, seller, builder, and money partner. Bruce is best known for his long-term market timing trends including his “California Comeback” report in 1997 predicting California’s real estate boom and his January 2006 release, “The California Crash,” predicting the foreclosure meltdown. His reports have made and saved California investors millions over the past decade. Bruce speaks and debates nationally as well as hosts an award-winning real estate radio show where he interviews world-renowned economists, government leaders, association presidents, and local experts. Bruce also hosts the series, I Survived Real Estate, which has raised over $520,000 for charity since the event launched in 2008. Learn how to start or enhance your Real Estate business. Robert Taylor: Developing systems and habits for increased profitability. Laurel Sagen: Running your business profitably, like a business. These Real Estate investors share in a “Ted Talk” format how and why they do what they do day in and day out. Success is not by luck, but by hard work, working smart and building systems to create a successful business. Join us, as these three investors teach what over 20 years of experience has taught them, through first-hand experience. This important presentation will make the difference in your financial outlook in 2014.
under “Join Us” free market updates and real estate transitions. 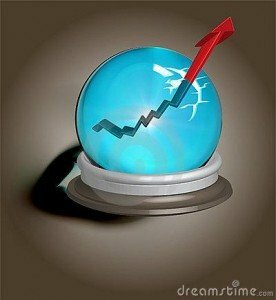 How is YOUR Crystal Ball Working? economic subjects in plain English. Howard is a paid lecturer on the subject of economics, the Federal Reserve, our banking system, the financing industry and real estate trends. Howard is a frequent guest lecturer at colleges, Universities and business groups around Northern CA. Howard’s opinions and interest rate forecasting have been heard on live television in many countries around the world Howard is also an active real estate investor with property holdings in CA, NM, UT and TX. Yes, Howard is a successful investor just like us! threads through what is happening in the national economy, where things may be headed and why as well as the potential impact of the economic situation on the bond market and interest rates and how it will impact the housing market and us as individuals is the core focus of the newsletters. They also zero in on what the Federal Reserve is doing, why they are doing it and what is likely to happen ahead. Howard is also the owner and founder of Pro Mobile Notary providing professional mobile notary document signing services nationwide. Born, raised and educated in New York City, Howard Blum is also a Vietnam Era veteran having served on ‘Active Duty’ for the US Navy from 1964 through 1966. Most of his time in the Navy he was attached to Submarine Squadron 10 out of New London, Conn.
Tony has accumulated millions twice. Tony has also lost everything twice! Join us for Tony’s 2014 Retirement presentation with over 100 dedicated Investors. Tony is entertaining, motivating, and hilarious! This meeting will be a real eye opener for the new or seasoned investor. Join us as self-made Multimillionaire Real Estate Investor Tony Alvarez will share his cutting-edge streetwise secret techniques and strategies for how he became wealthy in the real estate investing game, and how new as well as experienced investors must embrace a new & improved way of thinking and doing the real estate business to stay on the cutting edge. Whether you’re just getting started or continuing to grow your real estate business in 2014 – don’t miss this very personal and intimate outstanding presentation! Tony Alvarez has been a successful Real Estate Investor and Certified General Appraiser in Southern California area since 1981. More importantly, Tony made a fortune buying and selling properties while working with professional real estate Agents that specialize in selling lender owned (REO) foreclosure properties. He did it all in seven years and in one of the lowest priced most depressed Southern California real estate markets, the Antelope Valley. Tony has purchased, rehabbed, rented and sold hundreds of properties from vacant land to condos, single family residences, apartments and commercial properties. Tony started his real estate career working as a staff appraiser for Great Western and Glendale Federal Bank and is approved by hundreds of Lenders and Insurance Companies, as well as, Government Agencies. He has worked with Fannie Mae, Freddie Mac, FHA, FDIC and the RTC (Resolution Trust Corp.) He has an in-depth knowledge of the inner workings of Lenders and their REO (lender owned) departments. Tony’s knowledge of real estate, appraisal, finance, and investing is vast and varied. He brings a unique perspective to the real estate investment community. Tony is a sought after speaker and instructor and has previously spoken at The Norris Group’s Multi-Millionaire Maker in 2005 and 2006, as well as, other Real Estate Investment Clubs and top real estate offices throughout Southern California. Although Tony made over $10,000,000 in the last down turn he still manages his own rental property business from the same “ugly little office” he’s been working out of for years. Tony also teaches courses and classes as well as coaches new up and coming real estate investors on how to get the edge making millions buying, selling, renting and managing distressed properties in this crazy unpredictable real estate market. Join John as he teaches us to develop clarity, strategy and momentum in our life & work. As a Strategic Coach John works with business owners and executives to increase their personal effectiveness and vocational enjoyment. His coaching and consulting draw on his extensive, varied and successful background in retail, radio, the record industry, consulting, ministry training, and experience with personal transformation as a pastor. This incredibly important presentation could seriously make the difference for your outlook in 2014. Knowing your “why” is key to managing what you do, and how you do it most effectively. Knowing your “why” brings clarity, focus, alignment, and the ability to flow in the moment. Knowing your “why” raises your level of confidence. Knowing your “why” aligns your purpose with your time management and helps improve your performance. Knowing your “why” increases your sense of authenticity and helps you form the right strategic relationships. Knowing your “why” helps you understand your field of play and how to improve your skills. Knowing your “why” is the basis for managing your time and resources to the optimum. Knowing your “why” help you sort what should and should not be on your plate. Knowing your “why” helps you develop your short and long range goals more effectively. Knowing your “why” increases your creativity and flexibility of thought. Visit www.NorCalREIA.com for more info and register under “Join Us” for free market updates. There were over 100 investors last meeting! Learn Why Your RETIREMENT Position is More Critical Than Ever. One of our LARGEST meetings of the year! Learn Why Your Investment Position in 2014 is More Critical Than Ever. Do you understand the current housing climate and how we got here? Want to know what lies ahead? Join NorCalREIA and Sean O’Toole to unveil key indicators and tipping points that foretell what lies ahead for California real estate investors. “Sean road the tech bubble in the 90s, then sold all of his stocks at the end 99 before the crash. He then bought gold in 2002 and road the real estate bubble until 2005 when he sold all of his properties before the bubble burst. Sean saw the coming wave of foreclosures before anyone else and launched ForeclosureRadar, which grew to be the top information service in the country and was featured on 60 minutes. Discover if we going to fall off a cliff or make millions? Exactly how should California Real Estate investors be prepared for an explosion in investment opportunities, a serious drought or more appreciation in 2014? Sean O’ Toole, PropertyRadar CEO explains why investors need to carefully watch trigger points that could blow up the economy and everything we believe about smart investing. Learn how 2013 set the stage for 2014, which economic scenarios could unfold and what real estate investors absolutely must do to be prepared to make money and reduce risk. Learn new angles and how to leverage data like you’ve never thought possible, or even a good idea. This incredibly important presentation that could seriously make the difference in boom or bust for your own financial outlook in 2014. Come early, bring your Tablet or laptop and we’ll do live searches for investment deals using PropertyRadar. You won’t want to miss this opportunity to learn directly from the CEO Sean O’Toole!